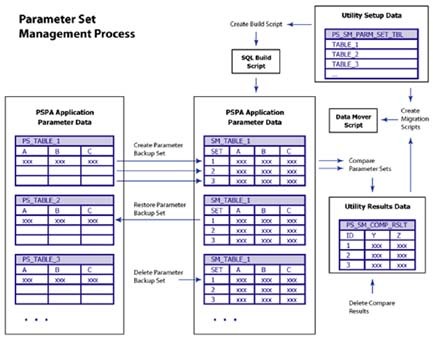 Managing your system configuration as change-controlled objects. Firm-wide focus on a single product results in better products and services. Technical training program delivered to large commercial customer. We continue to add new Public Sector Retirement System customers! Robust modular design for Service Purchase. Successfully implemented Cash Balance Plans. Designs completed for Employer Reporting and Loans Processing. Our on-site delivery model results in better knowledge transfer, greater internal ownership and more successful rollout. Our resources are the best in the business. Learn more about our key personnel. We have custom developed, Oracle Pension-specific tools and utilities that facilitate implementation, testing and maintenance. Looking for our blog? We are in the process of re-deploying our website. Check back soon to get access to all of the Oracle Pension-related information. We have recently delivered a comprehensive technical training program to a large commercial customer. In addition to customized instruction, this program includes extended training manuals, follow-up exercise sets with answer keys, and a custom training database instance loaded with training data. Parameters are the plan rules that are configured in your calculation system. When you make rules changes in your development instance, you need a stable and comprehensive process to migrate those changes to your test environment and to production. In cases when changes fail testing, you may need to restore your test environment back to a stable back-up point. These procedures may sound straightforward but there is no delivered PeopleSoft functionality to migrate pension parameters. And the storage of these rules is too complex to handle migration manually. PensionSmart has developed a utility to migrate configuration rules from instance to instance as well as to create backup and restore points. Through repetition, experience, and a focus on process improvement, we have developed a set of utilities that allow your development team to manage these processes with push-button ease. These utilities are built in PeopleTools and allow you execute these tasks through a simple and familiar interface.